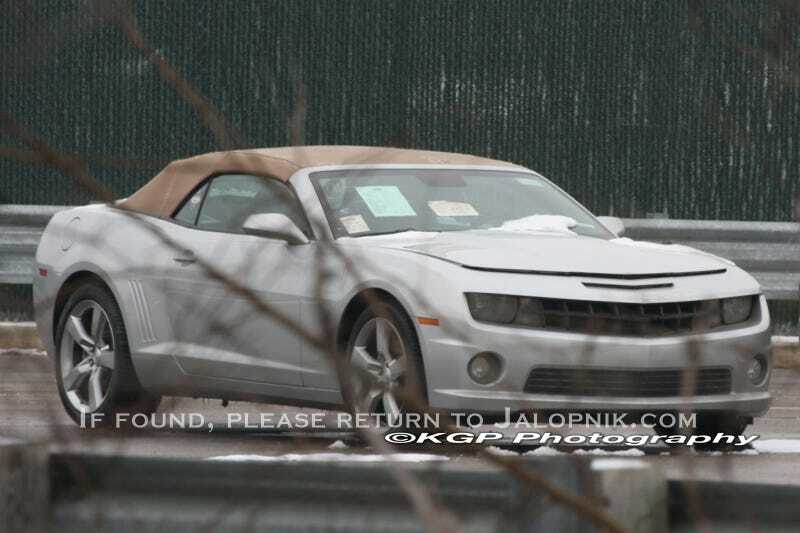 The quick-to-the-shutter KGP photogs caught the Chevy Camaro Convertible very close to production. A drop-top Camaro could solve some visibility issues but please, for the love of all that's holy and mulleted, don't give it this beige-on-silver color combo. Ghastly. Of course maybe this is some sort of new camouflage. Spy Photog #1: "Was that a Camaro convertible?" Spy Photog #2: "Naw, just a Solara I think..."